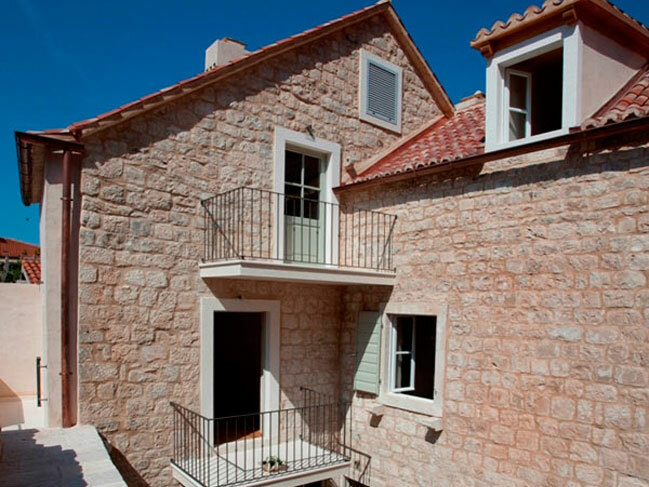 Old renovated Dalmatian Stone House in Omiš in Dalmatia in Croatia This holiday house is located in a small Dalmatian town called Omiš at the mouth of the river Cetina rich in historical monuments on one side and beautiful beaches on the other, making it a great holiday destination in the center of Dalmatia. 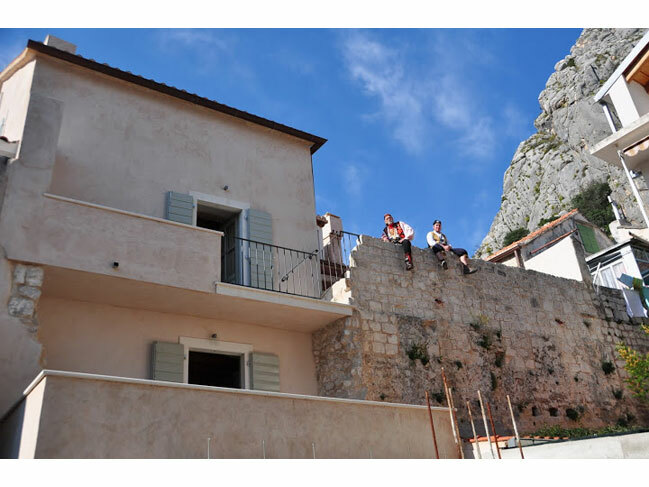 The traditional Dalmatian stone house is located in the center of the medieval town Omiš, in the vicinity of the town’s tower Torjun. 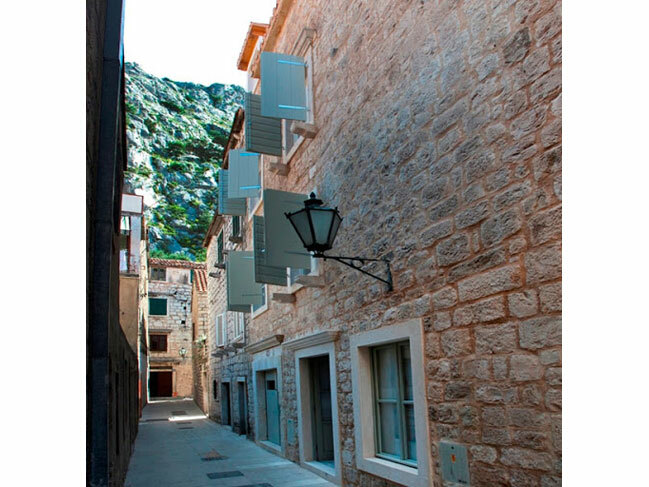 It was created by consolidating two residential houses, one of which was leaning against the medieval defensive wall, while the other is located on the other side and in this way they form an intimate courtyard. 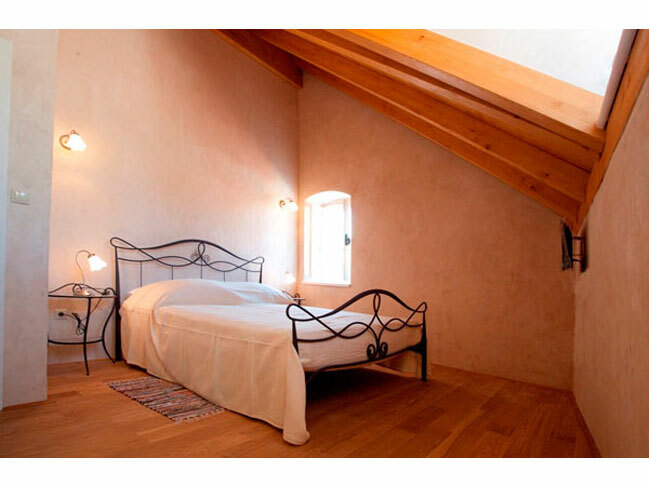 Both houses are characterized by harmonious Baroque carved details. 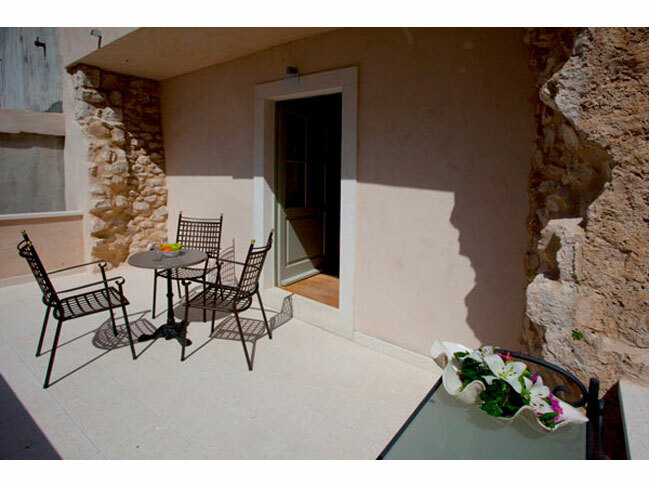 The main portal and beautiful stone staircase are especially highlighted with a balcony in the courtyard. 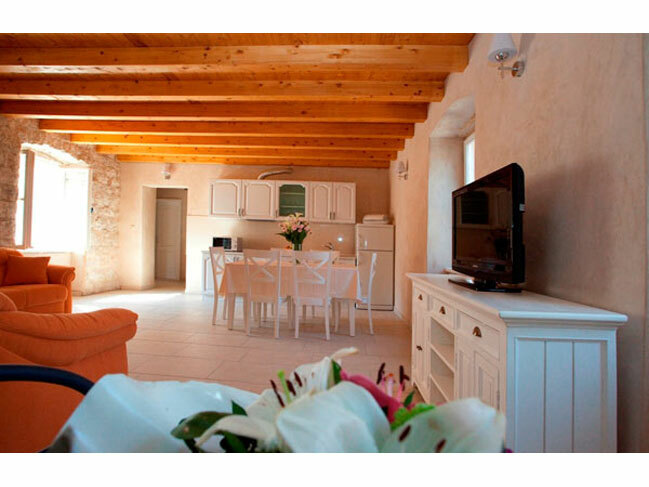 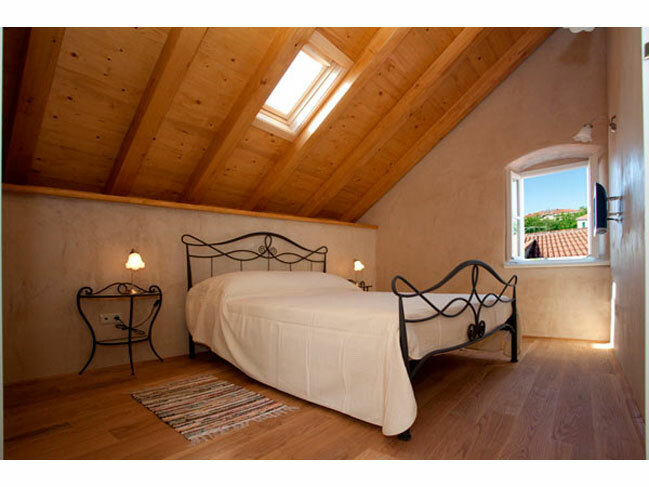 The traditional Dalmatian stone house was completely renovated in 2010. 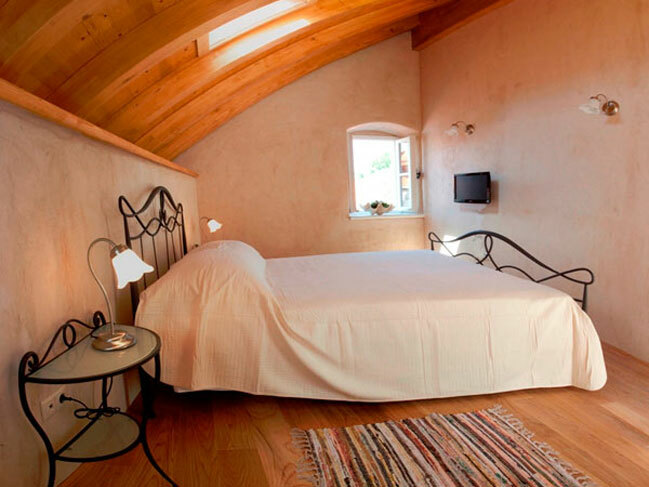 A special attraction is sitting under the ancient defensive walls, while the guests have the possibility of walking a defensive wall accessed from the apartment on the second floor. 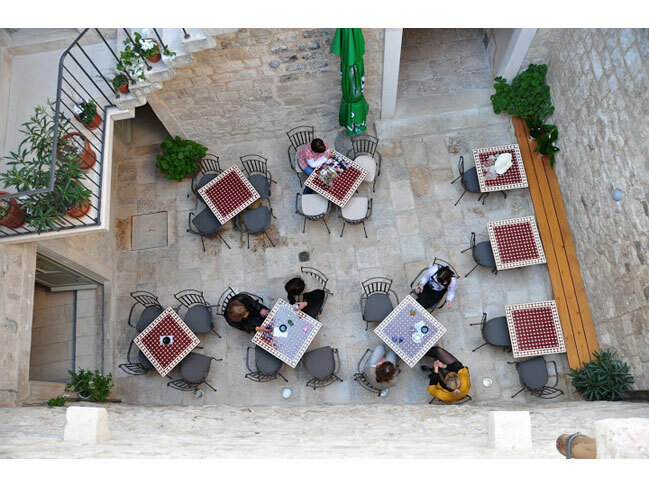 The house has its own garden, and as soon as you step out of the Baroque complex you’ll find yourself in the historical center with numerous restaurants and small shopping facilities. 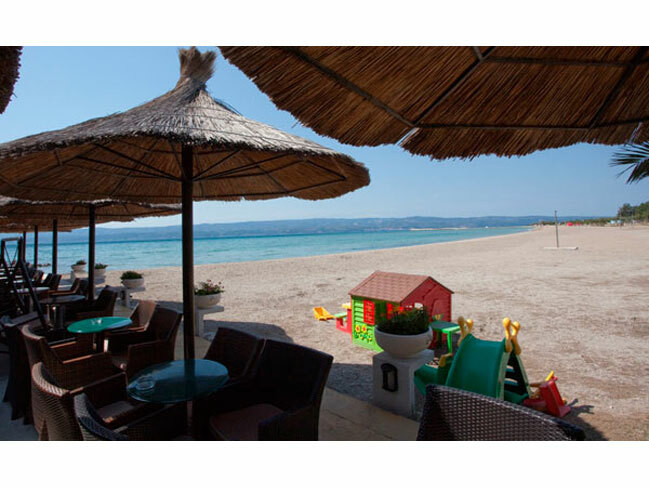 The sea, the promenade and the long public beach that stretches to the nearby cape rounds up the complete enjoyment of your stay. 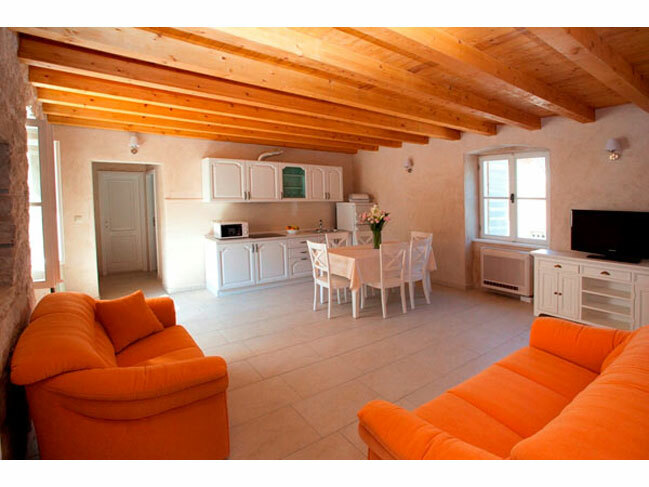 The traditional Dalmatian stone house features 3 apartments. 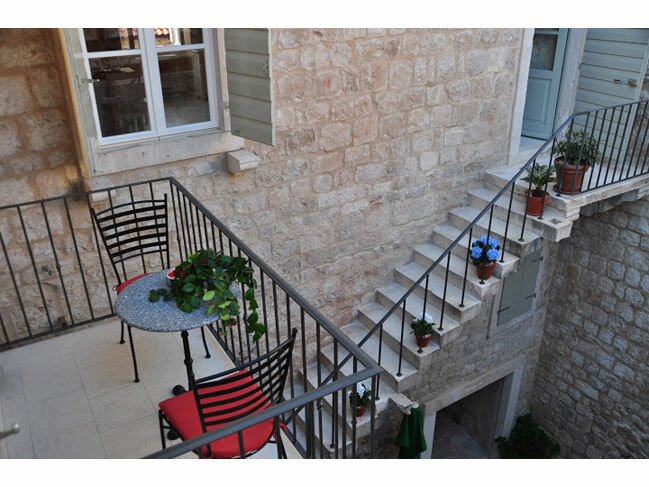 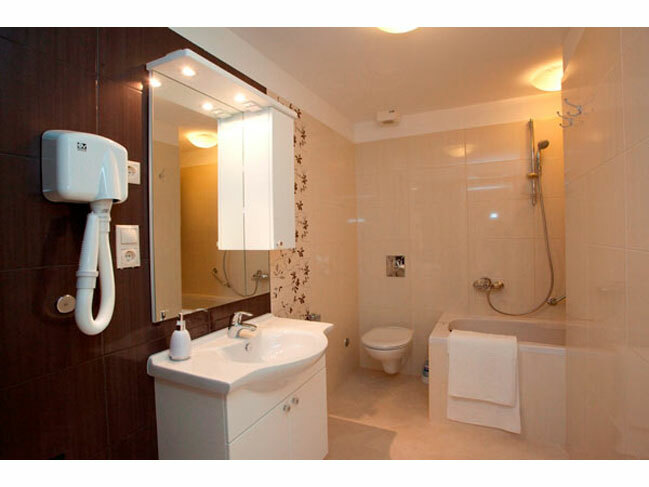 Each apartment can accommodate 4+2 persons; 3 x kitchen/ dining room/ sitting room; 3 additional toilets; 3 balconies; 2 terraces; coffee bar on the ground floor. 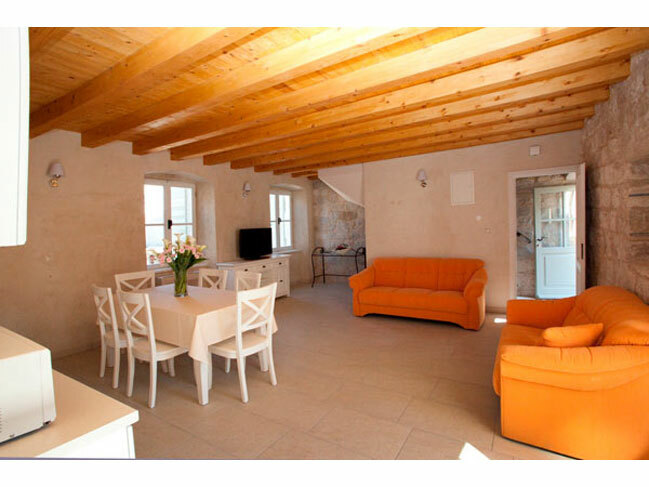 - Day of arrival/departure: Saturday in July and August; for other periods, please inquire. 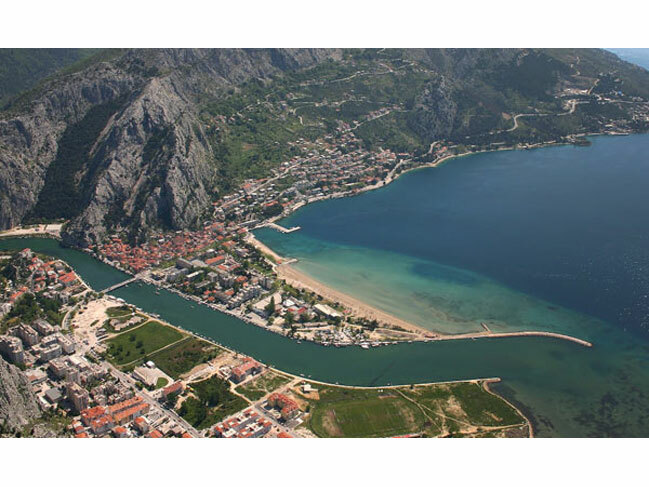 Omiš is a small Dalmatian town and harbor located between Split and Makarska, situated in the mouth of the Cetina river and surrounded with massive gorges. 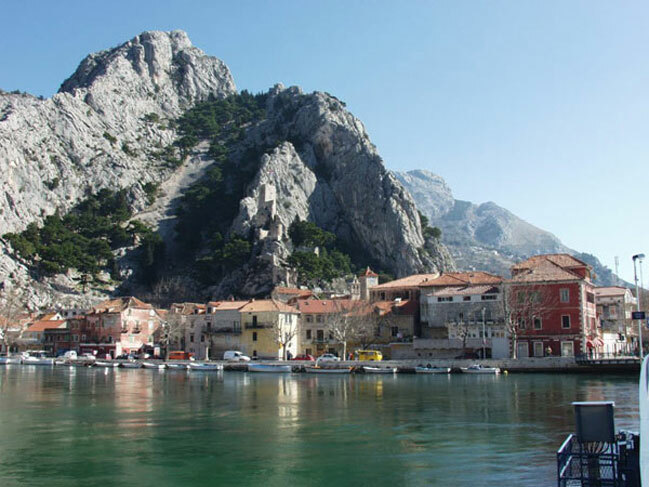 During the past Omiš was also known for their pirates. 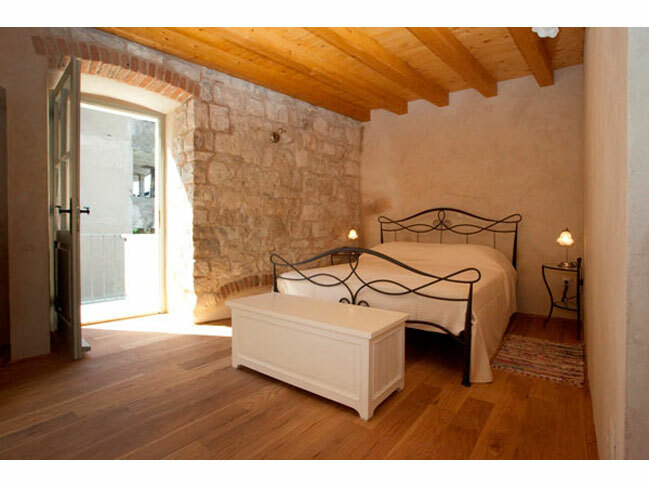 Evidence of a turbulent history can be found even today in the ancient churches and fortresses. 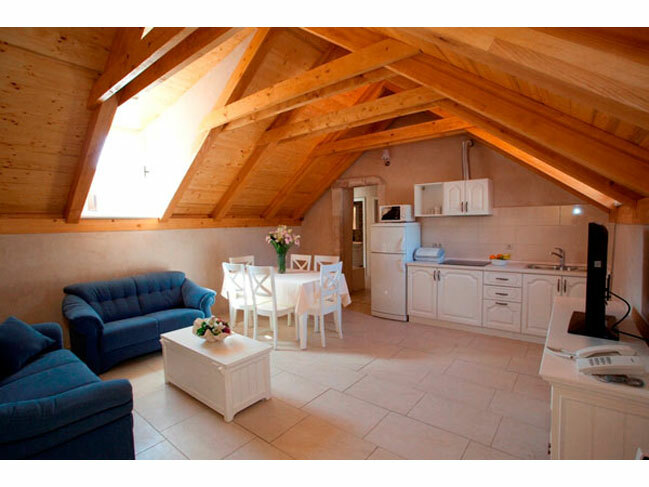 Today, the area is well known for the Cetina River and possibilities of rafting, canoeing and similar activities. 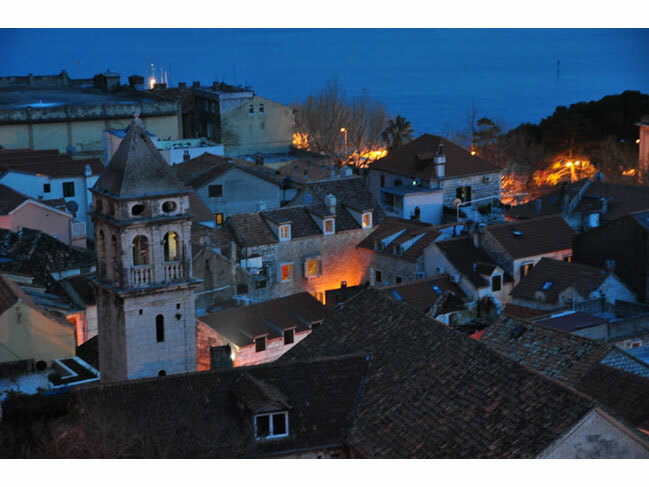 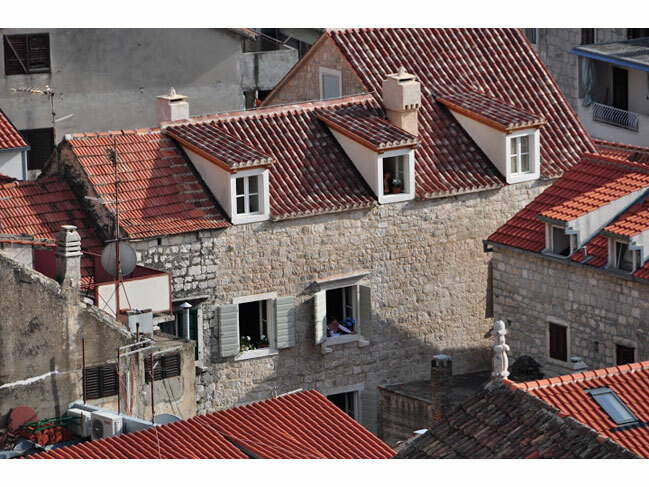 It is also a typical Dalmatian town, rich in historical monuments on one side and beautiful beaches on the other, making it a great holiday destination in the center of Dalmatia.